To ease some of the stress and workload, here are 10 of the best wedding hacks to make your planning a whole lot smoother. #1. Give retail suppliers an earlier wedding date. To prevent any last-minute surprises with dresses or suits not being ready on time, give your suppliers a “fake” wedding date that is 2-3 weeks before your actual day. This way, if any snags arise, you’ve built in some buffer to get them fixed. #2. Use Postable to Collect Guest Addresses. 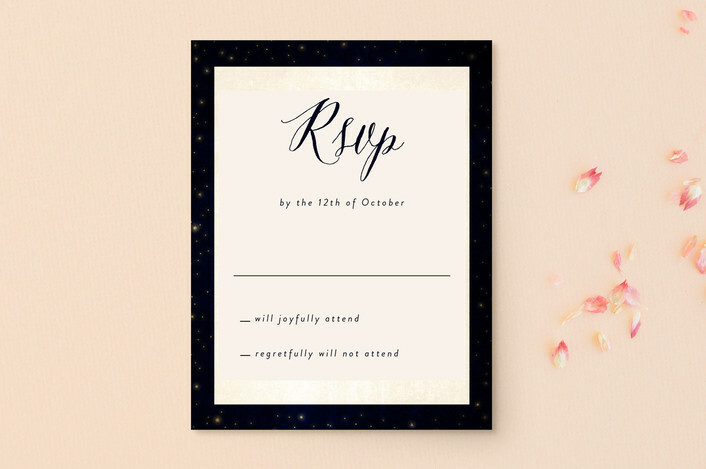 If you have many addresses to collect for invitations, use a handy (and free!) tool like Postable’s Address Book. It lets you send a unique link to your guests and have them fill out their information so that you can keep everything in one place. #3. Order your Thank You Cards in Advance. While it can be tempting to wait on ordering thank you cards until you’ve received some wedding day pictures, consider ordering them in advance sans photos. This will mean less of a delay in writing your thank yous, and means you’ll have them on hand in case any gifts come in early. 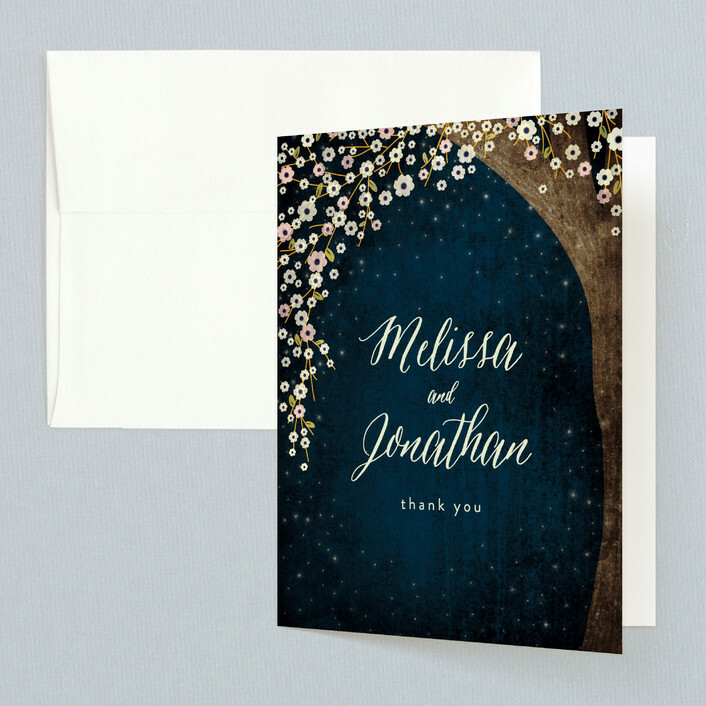 We’ve settled on ordering the Outside Thank You Cards from Minted (shown above) which match our invitations perfectly. They have a huge selection to choose from and we’ve used Minted for all our paper needs, plus our wedding website. #4. Create a Master Task List. As the big day approaches, you’ll be amazed at the number of tasks to do from big things down to minor details. Grab a wedding checklist to make sure you’re getting everything done in the right time frames. The Ultimate Wedding Planning Checklist is a fantastic tool that I developed after months of wedding planning and hours of research. It will keep you on track and prevent anything from slipping. #5. Number your RSVP Cards. Write a small number in the corner of each RSVP card and note these numbers on your guest list. That way, if someone returns an RSVP card without a name (or if you can’t read their writing!) you’ll be able to easily identify them. The RSVP postcard pictured above is the listed version of the Outside RSVP Postcard from Minted that we sent out. We actually had Minted’s designers add in custom meal selection options and a line for dietary restrictions. I believe this is a free service, so definitely ask about it if you’re collecting more information than attendance. #6. Use a foam brush and a little water to seal your envelopes. To avoid having to lick dozens of envelopes, use a foam brush (or your finger!) dipped in water to seal them shut. We found a pack of foam brushes (like these) at the dollar store! #7. Use heel protectors or wear wedges. If you’re planning an outdoor ceremony, be wary of wearing stilettos or high heels on the grass. 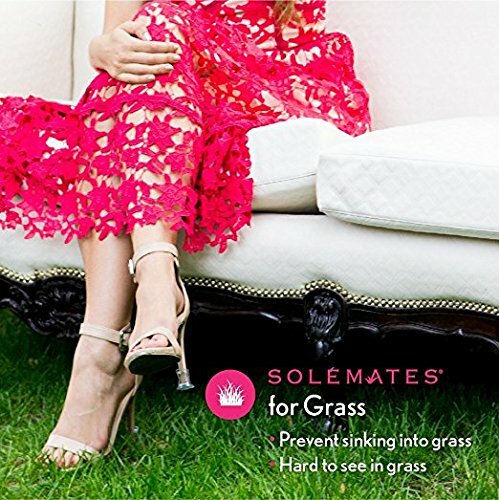 You risk having your heels sink into the grass and/or ruining your shoes! Instead, opt instead for a wedge-style shoe or buy a pack of heel protectors like Solemates. #8. Make the most of what your venue offers. Before spending time and money on decorations, check with your venue to see what they have on hand. For example, our venue has a beautiful rustic cake tier we’re using for our mini cupcakes instead of having the cupcake company supply them. They also have a birdcage with a “Cards” sign they use for cards, and a sign asking guests to “pick a seat, not a side” for the ceremony. By using these pieces, we have fewer items to find, buy, and coordinate drop off and pick up. #9. Take advantage of trials. If you can, book a trial with your hair and makeup artist(s) ahead of the big day. This will give you the opportunity to refine your look and will also give the professionals the opportunity to get familiar with your skin type and tone, hair type and length, and so on. If you’ll be wearing earrings, a veil or headpiece, bring that with you so that you (and they!) can get a sense for the complete look. #10. Create an emergency kit. Pack yourself a bag of small things that could come in handy the day of. Hairspray, extra bobby pins or hair clips, safety pins, anti-static spray, bandaids, and lip colour are all good choices. #11. Bring a pair of flats. As beautiful as your shoes will be, chances are you’ll want to change into something more comfortable as the night goes on. Buy a cute white pair that won’t be as obvious if they’re seen. I’ll be wearing either the Keds Chillax Basics in White or something like the Converse Chuck Taylor All Star Shoreline Lace-Up Sneaker in White. But if you want a little more pizzaz, go for something more bejewelled like the Keds x kate spade new york Champion Glitter shoes pictured above. Bonus tip: bring these shoes with you to your dress fittings. Whoever is doing your alternations can then take the heel height into consideration when hemming your dress. #12. Wear a silk robe during hair and makeup. To make it easier to change without ruining your hair and makeup, wear a wrap, button up, or zip up top to the beauty chair. And if you’re getting curls or waves, choose a silky fabric as it’s best suited to keep your hair looking great. The fibres of most cottons can mess up your hair if any of it is down. 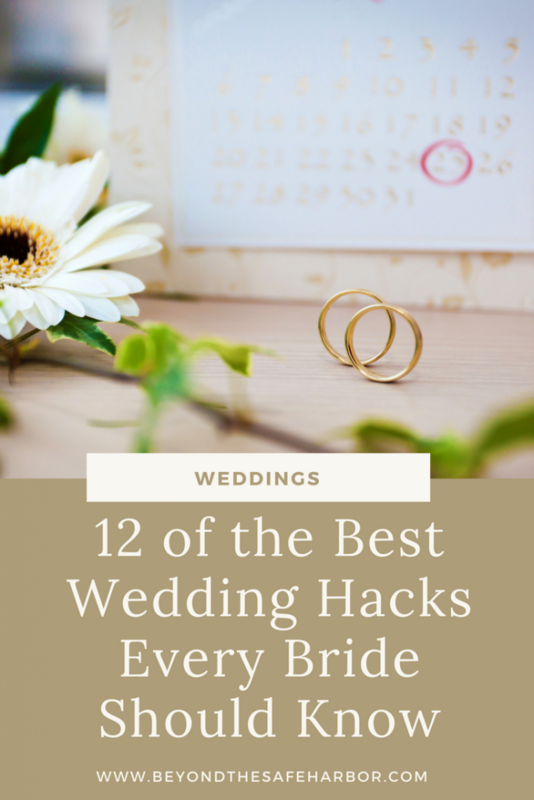 That wraps up my 12 wedding hacks! Are you looking for more advice around planning your big day? My post How to Plan an Affordable Wedding: 10 Insanely Smart Ideas has you covered. Leave me a comment and let me know what wedding planning tips you’ve picked up along the way. I’d love to hear them! And check out the Ultimate Wedding Planning Bundle for some amazing planning resources! P.S. Want to know what type of Bride you are? Take the free quiz!